Our PGx/DNA test is covered by Medicare and we also bill in network for PPO/HMO through a LEGACY LAB OR HOPD program. The principal enzymes responsible for this metabolism belong to the family of cytochrome P450 (CYP450). In humans they have been described at least 18 families and 44 subfamilies xenobiotic metabolizing CYP450, of which only families CYP1, CYP2 and CYP3 seem to be important in drug metabolism. The recent review of the 200 top-selling drugs by prescription reveals that about 80% are metabolized by families 1, 2 and 3 of the CYP450 and that the greatest contribution make isozymes CYP3A4 / 5 (37%), CYP2C9 (17% ), CYP2D6 (15%), CYP2C19 (10%) and CYP1A2 (9%). Many genes encoding these enzymes have genetic polymorphisms leading to changes in the expression, activity or selectivity of the enzyme, and as reflected in the diversity of responses to drugs. Consequently, genetic analysis of these polymorphisms in the six main CYP450 enzymes is needed to understand the metabolism of the drugs used most often today. 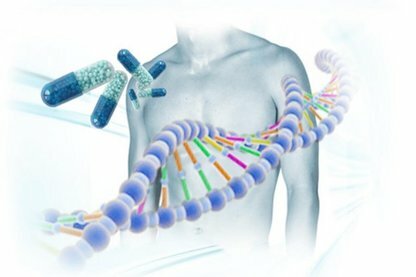 Basic genetic profiling studies PGx major metabolizing enzymes involved in the metabolism of drugs most commonly used in different therapeutic areas. The analysis provides relevant information about the 200 most commonly used in medicine, from the study of 19 genetic polymorphisms, described in the scientific literature present in the six major cytochrome P450 drug: CYP2D6, CYP2C9, CYP2C19, CYP3A4, CYP3A5 and CYP1A2. Slow, medium, normal, fast and ultra-rapid metabolism: From genetic analysis, the activity of each of the six cytochrome P450 analyzed is classified. PGx Basic profile provides a detailed report which is also the type of metabolism of each enzyme, which drugs can cause toxic effects and adverse reactions as well as dose recommendations included. The information provided by the analysis to select the most appropriate drug and individually guide the dose adjusted for each patient. This will result in more effective treatment and a significant reduction of adverse reactions. The variation in the human genome is one of the major factors responsible for individual modular drug response. Pharmacogenetics studies how genetic differences between individuals influence the response to different drugs. After administration, the drugs go through five stages: absorption, distribution, interaction with targets, metabolism and excretion. Metabolic step is crucial, since it is largely responsible for the toxicity of drugs. The metabolism of a drug is different reactions that modify the drug and, usually, makes it more soluble molecule that can be excreted more easily. • Patients who want to customize drug treatment medication based on their genetic profile. • Patients with drug side effects. • Patients in whom drug treatment is not present expected results. Sample : Saliva (Bode DNA kit Collector) or whole blood with EDTA. Documentation : Application form and Informed Consent (MPP21) essential.